MAKE YOUR NEXT GETAWAY EASY. WE DELIVER TO YOUR LOCATION. Serving Traverse City, Leland, Northport, Suttons Bay, Glen Lake, Glen Arbor, Leland, Old Mission, Long Lake, Silver Lake, Duck Lake, Green Lake, Lake Leelanau, and Lake Michigan. No matter where you are in the Leelanau Peninsula area, we’ve got everything you need for summer fun on the water. Whether you spend months planning your Northern Michigan getaway, or you’ve decided at the last minute to spend the weekend on the lake, there’s a rental for you. Rent a pontoon for a family day on the lake or rent a jet ski for for a bit more adventure! Best of all we deliver to you. Whether it’s a pontoon boat, jet ski, or speed boat, we have what you’re looking for with weekly or daily rental options. Demand is high, so please reserve early! We deliver your rental craft directly to the ramp nearest you, so you can enjoy the fun as soon as possible! Offering the best service around, we”ll do what it takes to keep you returning each and every year! Get your rental off to a safe start! This is for ages 12 and up. YOU MUST COMPLETE THIS COURSE IN ORDER TO OPERATE OUR RENTAL WATERCRAFT. Jet Ski is actually a brand name given to a personal watercraft (PWC). Although PWCs are easy and fun machines to handle, it’s necessary to first learn how to operate and ensure the safety of yourself and others. We are open from approximately the Friday before Memorial day to September 15th, depending upon the weather. We are available by phone from 8am – 8pm. Our crew will review safe boating operations and conditions with you, upon your arrival. We’ll give you the inside tip on great places to swim as well! WHAT DO I DO WHEN IT’S TIME TO COME IN? The process is simple. You will drive the boat to the loading and unloading zone, where you picked the boat up, and one of our staff members will come out to meet you, and guide the boat safely to the dock. All safety equipment, including life jackets, is included with the cost of each rental. WILL I NEED TO REFUEL THE BOAT? Most likely the boat will not need to be refueled on a 4-hour rental. However it is possible the boat will need to be refueled on an 8-hour rental, depending on how frequently the boat is driven and how hard the motor is run. If you need gas we let us know so we can make arrangements. HOW ARE FUEL CHARGES CALCULATED? Fuel is calculated based upon the average fuel burn per hour, for that given piece of equipment. Pre-pay fuel is calculated by the average multiplied by the number of hours rented, not to exceed a full tank of fuel. Yes as a part of your rental agreement, a valid major credit card must be on file to cover any potential incidentals or damages incurred during your rental. WHAT IF I HAVE NO BOATING EXPERIENCE? 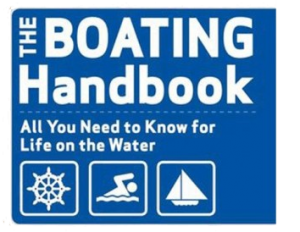 Our crew will guide you through a boating orientation, and safety information, before you get out on the water. Cancellations made 7 days or more before your reserved date are eligible for a full refund, less a 10% processing fee. Cancellations made between 1-7 days before your reserved date are eligible for a full refund (less a 10% processing fee) ONLY if we can rebook the time slot. Cancellations made within 24 hours from your reserved date will receive no refunds of any kind, regardless of whether or not the equipment is rebooked by another party. Our boats typically accommodate anywhere from 1 to 13 passengers, depending upon the type of watercraft, as well passenger weight. WHO CAN OPERATE (DRIVE) THE BOAT OR WATERCRAFT? Each piece of equipment allows for up to two drivers. All drivers must have a valid drivers license. Leelanau Watersports will not depart in unsafe weather conditions. The booth staff or Parasail Captain will assess the weather and should the staff determine that the conditions are unsafe to run the tour/rental or send out a tour/rental may be postponed or it will be canceled. Every effort will be made to reschedule your tour during your stay. If you are unable to reschedule your tour, you will have the option of receiving a voucher for a future trip. 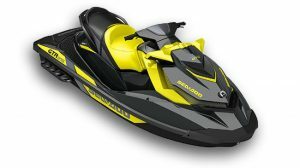 ID will be required for all jet ski rentals. (B) Must have a valid driver’s license. (C) All drivers must be 18 years or older. Intoxicants are strictly prohibited. For the safety of our guests service will be refused to anyone under the influence of drugs and/or alcohol. All persons involved with our activities/tours acknowledge that said activities/tours are potentially dangerous and agree to hold Leelanau Watersports., all owners, employees and affiliated properties harmless. ** Watersports Cancellations: Cancellations made 7 days or more before your reserved date are eligible for a full refund, less a 10% processing fee. Cancellations made between 1-7 days before your reserved date are eligible for a 50% refund. Cancellations made within 24 hours from your reserved date will receive no refunds of any kind, regardless of whether or not the equipment is rebooked by another party. NO SHOWS are charged in full for the rental period reserved. Any party that has not arrived by the scheduled time of the rental shall be deemed a NO SHOW. We reserve the right to cancel your reservation for violations to our policies. We reserve the right, solely at our discretion, to reschedule and/or cancel your reservation in the event of inclement weather. Reservations cancelled do to weather (or any other VALID and APPROVED reason) during the rental period will be given a voucher for credit toward use of same or similar piece of equipment at later date or time, or in the form of a dollar amount to be used on our alternative equipment, and such vouchers will be determined at the sole discretion of Leelanau Watersports. Substitutions: It is inevitable that reserved equipment will occasionally be unavailable due to unforeseen circumstances at the time of your rental reservation. We reserve the right to offer you substitute equipment of equal or greater value in lieu of the originally reserved equipment at no extra cost to you. If no alternate equipment is available, we really have no choice but to reschedule or cancel your reservation at the sole discretion of Leelanau Watersports Staff. Damages: By booking your rental with Leelanau Watersports, you authorize Leelanau Watersports to charge your credit card on file in the amount of $1,000 per piece of equipment as a damage deposit, in addition to any applicable rental charges, booking fees, other taxes and fees, fuel surcharges, or other incidentals, including additional fees for actual damages to equipment. In the event of damage, the default charge of $1,000 will be applied to the credit card on file immediately, or may be adjusted up or down by Leelanau Watersports Staff based on their assessment of actual or probable damage and other related costs, including but not limited to the actual or estimated costs of repair for physical damage to the equipment, cost of recovery to equipment/passengers, towing fees, staffing costs to trailer equipment to repair facility, and lost rentals, at that time based on their sole discretion. 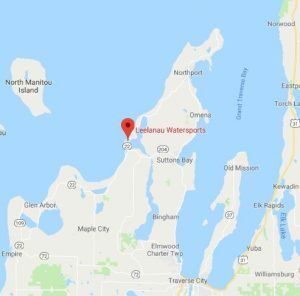 Leelanau Watersportswill have the damage further assessed by authorized third party repair facility (within approximately two weeks from the time that the damaged rental is returned) at which time the damage deposit charge may be adjusted accordingly. Final costs associated with damages, including those from the authorized repair facility, may be further adjusted after the repairs have been completed and the final invoice is paid by Leelanau Watersports. Providing the damage does not exceed the default deposit amount, the adjusted charges should be applied and the remaining deposit charges, if applicable, should drop off of the credit card on file within approximately 2-3 Weeks. Renter is responsible for any and all losses and damages to Leelanau Watersports equipment while in their care, including but not limited to full cost of new replacement equipment, from causes including but not limited to trailering, launching, beaching or running aground, collision with other boaters or objects on or below the water, running engine or systems out of fluids or with low fluids causing premature wear to mechanical systems, weather loss, dockage, anchoring, or any other cause whether or not the renter is directly at fault. Any adjustments will be made by credit back to the card on file. Renter will get his/her damage deposit back if the equipment is returned unharmed as determined Solely by Leelanau Watersports staff. Renter is solely responsible for ensuring the safety and passengers of the vessel during the rental period. All damages or loss to equipment in excess of $100 or injury to person or property must be reported to Leelanau Watersports and to local law enforcement immediately. Refunds: All refunds will be made by method of payment used for the reservation, or by voucher at the discretion of Leelanau Watersports, and mailed to the billing address or emailed to the account provided to us. There is NO early return refund. Leelanau Watersports reserves the right to rent out the equipment to an alternative renter if returned early, and is NOT obligated to refund or credit the original renter under these circumstances. Late return of rentals will be assessed a prorated amount based on the applicable hourly rental rate for that piece of equipment (based on the standard hourly rental rate and NOT prorated based on the actual rental period), which will be rounded up to the next 15 minute interval (that is: 20 minutes will be charged for 30, 35 for 45, 50 for 60). Renters are responsible not only for additional rental time but also for additional fees as mentioned above, including but not limited to taxes, fees, booking fees, fuel surcharges, incidentals, and lost rental time. If another customer has the equipment booked for a time that immediately follows the reservation in question, and Leelanau Watersports loses that rental, and the equipment has been returned 15 or more minutes late, Renter will be responsible for lost rental time as well, regardless of the duration of the other rental. If the equipment has been returned a half hour late and Leelanau Watersports loses an 8-hour rental as a result, Renter will be responsible for the entire term of that rental including applicable fees and expenses relating to that rental which are referenced herein. Insurance: Leelanau Watersports carries liability insurance coverage for all equipment, however physical damages incurred during the rental period are NOT covered. Renter is fully responsible for all of the costs related to damage to the equipment including lost rental revenues. A lot can happen on the water like big waves, wind, storm, sinkage, running aground, sucking up a towrope, or just bumping the dock or another boat. Please check homeowner, renter, auto, or credit card policies to see if there is an endorsement available to you. This is an inexpensive alternative that most people can access fairly easily. Fuel: Fuel charges, though they are broken out for demonstrative purposes during the checkout process, are actually incorporated in the Rental fee as seen in total checkout price. They are broken out in the checkout process in order to demonstrate to Renter what the normal fuel usage (approx.) would be for a normal renter. This is based on the average fuel usage (in gallons per hour) of that particular boat at or around cruising speeds. Some customers burn more and some burn less. Fuel charges reflect the price per gallon of $4, which may be subject to change, up or down, based in part on costs to Leelanau Watersports of obtaining and providing fuel, including but not limited to current pump prices, costs of payroll, vehicles and equipment, insurances, and transportation of fuel to the Rental equipment. Fuel charges are determined based on the number of hours of the Rental (NOT HOURS OF ACTUAL USE), multiplied by the predetermined rate of fuel usage (in average gallons per hour). Fuel costs are not intended to be charged based on the actual fuel used by the Renter. Fuel tank sizes vary based on individual pieces of equipment and prepaid costs for fuel are limited to a full tank. Additional charges will apply if Renter requests additional fuel after using up the full tank. Renter may use up some or all of the fuel without refueling. 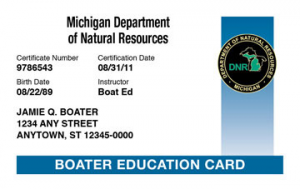 If Renter decides to refuel, NO credit will be given for additional fuel added or any unused portion of fuel provided by Leelanau Watersports. At Leelanau Watersports we bring rentals to you. We deliver to Duck Lake, Glen Lake, Green Lake, Grand Traverse Bay, Lake Leelanau, Lake Michigan, Leland Area, Little Traverse Lake, Lime Lake, Long Lake, Northport Area, Old Mission, Silver Lake, Suttons Bay Area and many more.